The Republican Holiday of the Book under the motto “Attention to literature is the attention to spirituality, the future" started in our country on May 26. This event, organized by the Press and Information Agency of Uzbekistan in collaboration with a number of ministries and departments, public organizations, is held in Tashkent, the Republic of Karakalpakstan and all regional centers. Currently in our country there are more than 100 publishing houses, about 50 publishing departments at educational institutions, enterprises and organizations, more than 1700 printing enterprises. In 2015, they published about 5 thousand items of literature in 50 million copies. As a result of the special attention, paid to the improvement of publishing and printing works, modernization of printing enterprises, their technical and technological renewal, the quality and volume of published books have been increased. At the recreation and cultural park named after Gafur Gulam were installed panels, which capture the folk proverbs, promoting the reading of books, wise sayings of great scientists. About 70 stands were installed, showing popular science, socio-political, spiritual, educational, literary, children's books reflecting today's creative and technical potential of publishers and printers. As part of the event, on the scene of the park were performed songs by known figures, the young singers. Collectives of Creative and Production Association “Uzbekteatr”, Youth Theatre of Uzbekistan, the Republican Puppet Theatre presented their program. At the exhibition were presented works of young artists, painted in the genre of book illustrations and miniatures. All the participants and guests enjoyed the poetic tournament of young creators, stage perfromance of pupils and students. Work of book trade fair was established. Within the framework of the event, a scientific and practical conference on the theme “The book is an invaluable spiritual and cultural heritage of the nation” will be held. As well as, the results of the republican contests “Best Book of the Year,” “Exemplary bookstore” will be also announced. Statistics of appeals made via "Trust phone"
Copyright © 2010 – 2018. Samarkand regional government. 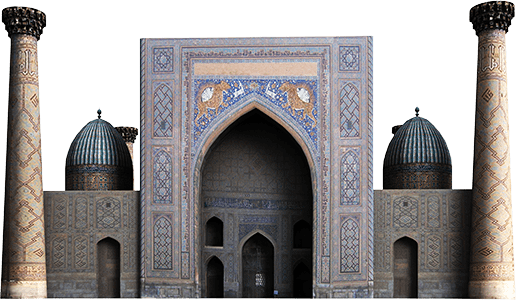 It is required to have an active link to www.samarkand.uz when using site materials.